Will Florida Reform Its Personal Injury Protection (No-Fault Insurance) System? Florida is currently one of ten states with personal injury protection, also known as no-fault auto insurance. But state legislators are trying to change Florida’s auto insurance system. Two competing bills have recently been voted out of their respective committees and will be debated by the full legislative chambers. 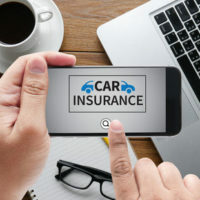 The state Senate Banking and Insurance Committee recently voted to replace the PIP system with a requirement that motorists carry bodily injury protection. It includes a provision creating a medical payment (called MedPay) coverage mandate of $5,000. The House version also calls for bodily injury protection coverage, but it doesn’t include the MedPay provision. Whether the House and Senate agree on a PIP replacement remains to be seen. Under current Florida law, every vehicle owner and driver must have $10,000 in PIP insurance coverage. Your insurance company will pay you PIP benefits if you are in an accident, regardless of who is at fault (that’s why it’s called no-fault insurance). Specifically, your insurance company will pay 80 percent of your medical expenses and 60 percent of your lost wages, up to $10,000. What Do These Proposals Mean for Me? Right now, nothing. The only thing to do is wait and see whether the legislature enacts a law reforming the system. In that case, our attorneys will be ready to advise you on your best insurance options. In the meantime, PIP insurance coverage can help families and individuals who are injured in car accidents and might not otherwise be able to afford their medical bills. An experienced personal injury protection attorney can help you understand your options. If you have questions about your personal injury protection insurance or are interested in obtaining coverage, contact a Fort Myers personal injury attorney at The Pendas Law Firm today for a free consultation. We will keep abreast of all of the latest developments in Florida law related to PIP insurance. The Pendas Law Firm also represents clients in the Miami, Fort Lauderdale, Tampa, Jacksonville, Orlando, West Palm Beach, Dayton and Bradenton areas.